Getting organized never looked so good! Enhance your sturdy cabinets with wall hangers that organize your belongings to meet the full spectrum of your garage storage needs. Maximize your storage space and easily find your tools, sporting equipment, bikes and gardening supplies when you need them. 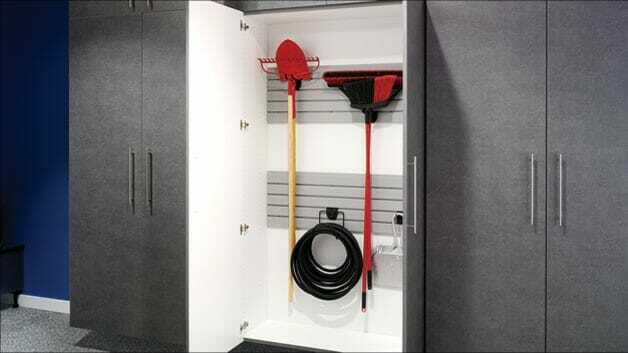 All-steel organization accessories include a variety of wall organizers, wall racks, hangers, shelving and overhead storage systems to meet your custom needs. Versatile and expandable, these systems let you easily determine the whereabouts of your belongings and offers easy access. Call Today for more information! 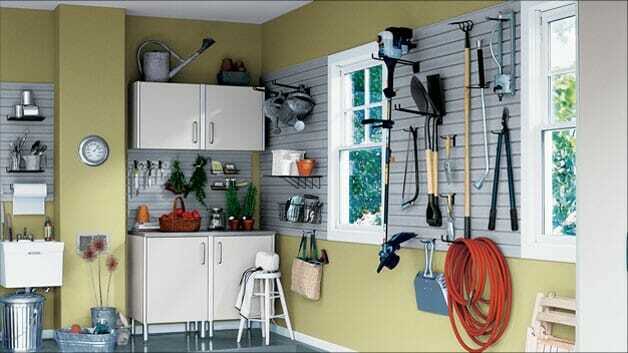 Our Silver Track Wall System is an all-steel garage organizer product that incorporates an innovative “rail” system. Only the steel tracks attach to the walls, making it possible to choose from a wide selection of hooks and inventive accessories that require no additional drilling or tools. Ski equipment, mountain bikes, sports helmets, work tools – just name the item and allow our design specialists to suggest the solution. Versatile and expandable, these exceptional garage organizers offer you space saving solutions that are tailored specifically to your needs. Call today for more ideas! 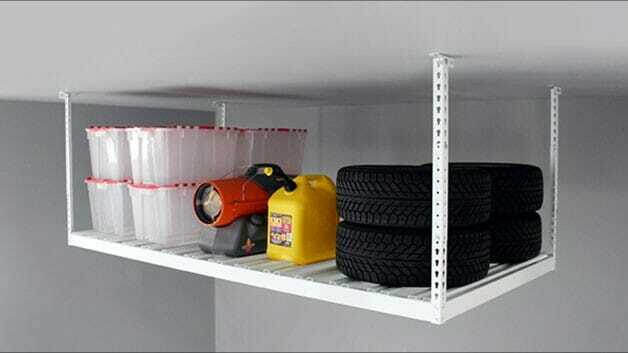 Further enhance and maximize your garage storage with our Storewall Wall System. Use on sections of wall space, above workbenches or within cabinets to create efficient options for organizing almost anything. Whether it’s tools, sporting equipment, bikes, gardening supplies, ladders or anything unique to your situation we have a solution that will help you organize most efficiently. All of our systems are versatile, expandable and letting you have easy access when you need to get at them. Call today for an estimate! 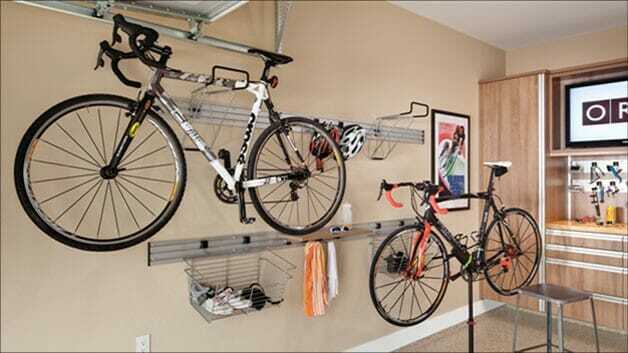 Free up precious floor space in your garage with our vertical or horizontal bike rack systems. These hooks mount your bike securely up and off of the garage floor. The bike rack systems can be used for other large items such as ladders, surfboard, or sleds. Improve your garage workflow with our bike storage ideas. 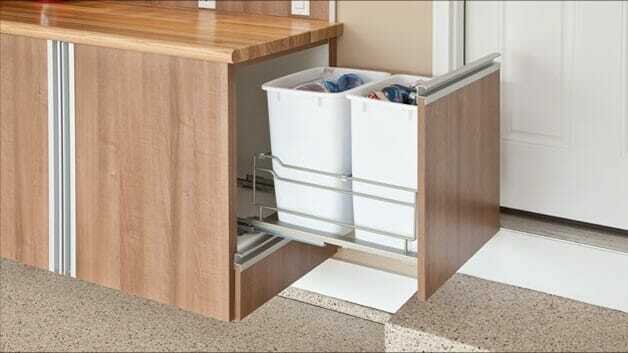 Organize your belongings while maximizing your space. Ohio Garage Interiors has a full spectrum of shelving and overhead storage solutions that are perfect for the “must have them but don’t know where to store them” items. Ideal for seasonal items such as holiday storage boxes or lawn furniture cushions. Our overhead storage systems are up to 4-feet by 8-feet in size and can be concealed discreetly above the overhead garage doors. 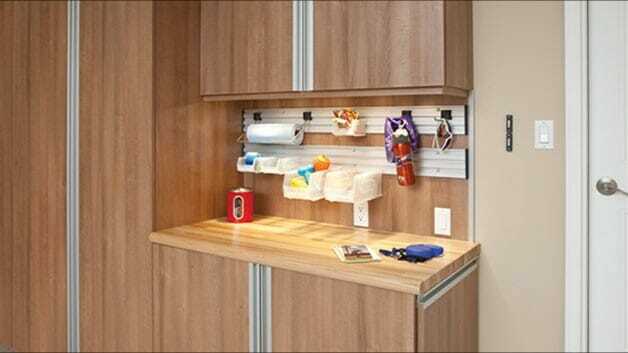 We also have wall mounted shelving for easier access to those everyday items. Choose from a variety of configurations that best fits your garage environment. Get your life organized today!